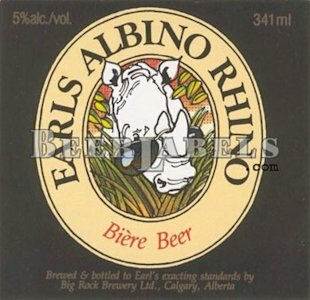 Early this year, Earls restaurant chain conceded to change the name of their signature beer ‘Albino Rhino’ to simply ‘Rhino’ due to complaints of discrimination against people who suffer from albinism. 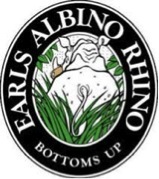 Initially, Earls fought against these complaints, stating that it had never occurred to the company that the name would cause offense; the brand was adopted from white rhinoceroses. However, Earls dropped their counter case and agreed to drop the ‘albino.’ This is a victory for Vancouver resident Ikponwosa Ero, who filed the complaint and suffers from this genetic disease. In advertising then, this would fall under clause 14 of the Canadian Code of Advertising Standards. However, this brand name has been around for over 25 years! Why are people only complaining and crying now that this is violating human rights? In an article in the Globe and Mail, Ero compared the name ‘Albino Rhino’ to ‘an Alzheimer’s appetizer or a Down syndrome daiquiri.’ In my opinion this is not even comparable, or fair for that matter. These diseases are specific to humans only, and are far more severe and damaging to the body and mind than loss of pigmentation and sunlight sensitivity (no offense intended). I think it’s important to note that humans are not the only species to suffer from albinism, in fact, animals and other organisms suffer from this genetic disorder too. Where is their voice? Are they offended? Although ‘albino’ may be demeaning to those who are suffering from albinism, it is considered by some to be neutral. Just like any name or term, it will be offensive if there is malice and the intention to cause harm but the brand makes no such attempt in language or in visual metaphor to intentionally communicate any negativity. This term is subjective. Some find it offensive (i.e.) those who are albino, but to the majority it’s just a term to define a genetic condition. If such offense can be taken from a simple brand name, what does the future hold for brand naming in general? If albinos are offended by ‘Albino Rhino,’ African Americans should be offended by this ad for the same reasons. Other examples similar to Albino Rhino are: Crazy Glue; offending those who suffer from mental illnesses, Black Label; again discriminating against Blacks, White Castle, and even Ginger-ale; discriminating against people with red hair (thanks to bloggers from websites listed below for their ingenuity). 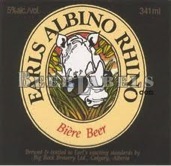 In my opinion Earls has not made any mistakes naming their brand of beer ‘Albino Rhino.’ In fact, using a word from the English language creates associations and connections with what is out there in the real world. To me, the term ‘albino’ is associated with the color white, something rare and unique. I assume whoever created this brand had the same connections. The rhyming is pleasant to pronounce – and this isn’t just to be cute. Rhyme priming activates similar sounds and therefore become associatively linked. 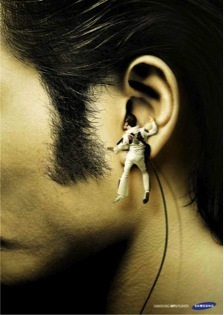 This is very clever on the advertiser’s part. The brand is not only fun to say but easy to remember. Admittedly it carries the associations of the genetic disease – no ambiguity here. However, this doesn’t have to be a bad thing! Using a common noun can actually prime a brand. For example, when people hear the word ‘albino’ they will associate this with the beer. Naming a product by an already existing name is genius in the world of advertising – provided they choose an appropriate name. Earls did just this – it’s just an unfortunate ending to an inventive and clever beginning. Today, it’s nearly impossible to always be politically correct; to never offend anyone with a word. One thing you say or do will eventually offend somebody, intended or not – that’s the nature of the beast. I have been skinny my entire life – and since I was nine years old up until now (twenty-seven), every once and a while someone makes me cry by calling me too skinny. Okay, so skinny isn’t the same as the genetic term albino, but anorexic is. And when someone says you look disgustingly skinny – anorexia is most definitely implied. So does that mean I should tell Starbucks to stop calling their low-fat lattes ‘skinny’ because the term makes me cry when it’s directed towards me? Absolutely not – skinny and albino are just terms; they do not define who you are – but they will if you let them. We may think we understand concepts better than we do. We are consistently exposed to numerous subjects, new gadgets and new concepts. Technology like cell phones, electricity and cars are taken for granted as we become desensitized to their regular usage every day. We have become victims to the illusion of explanatory depth. The illusion of explanatory depth explains that people are overconfident in their ability to understand complex systems and policies better than they really do. A study by Philip M. Fernbach, Todd Rogers, Craig R. Fox and Steven A. Sloman examines this concept in their study Political Extremism is Supported by an Illusion of Understanding. In their study, Fernbach and his colleagues conduct a series of three experiments. The procedure for all three experiments is similar. In experiment one, participants are asked to read six political policies, rate their support on these policies (on a 1-7 scale), then state their understanding of the six policies. After these steps were completed, the participants were asked to write an explanation of how they thought two of the six policies worked, and then record their support and understanding of the policies afterwards. What Fernbach et al found in the first experiment is that participants carried more moderate political views after explanation, and recorded that they understood the policies less. In the second experiment, the participants were classified into two groups. The participants in the first group essentially followed the same instructions as the participants from experiment one. Participants in the second group were given a different set of instructions. Similar to the first experiment, the participants were asked to read six political policies, state their positions on the policies, and then state their understanding. Afterwards, the participants were asked to generate reasons as to why they held their position on two, as opposed to writing down how they thought the policies worked. The participants then recorded their position and understanding on the political policies. Participants from group one replicated the same results as participants in the first experiment. Participants from the second group had minimal changes from their pre and post-reasoning ratings of understanding and position. This illustrates that individuals who did not have to explain how they thought the policies worked had deeper illusion of explanatory depth. The procedure for experiment three was similar to that of the experiment two. Participants were separated into two groups with the same set of instructions as the previous experiment. However, one additional step was added to the very end of the experiment. Participants were given twenty cents, and were provided four different options as to what they could do with it. The participants could donate the money received to a group that advocates a political issue. They could also choose to donate the twenty cents to a group that opposes the political issue. The money could also be kept for themselves, or they can choose to decline the twenty cents. Participants that were instructed to explain how the political policies worked had moderate positions on the political policy, and consequently less likely to donate money to any group. The second group of participants, by contrast held more radical views on the political policies, and were more likely to donate the twenty cents to the group that supported their position. It is interesting to see how people can be overconfident in the understanding of concepts. It becomes apparent that by asking a person with extreme to explain the mechanisms of a policy, their position on the policy, as well as their own perception of understanding the policy decreases. This research carries implications beyond the political spectrum. Businesses can take advantage of this information by strategically implementing advertisements to ask consumers to think consciously about competing brands, to sway loyal customers away from their beloved brand. Regardless of application, this study has the potential to provide framework and inspiration for innovative advertisements in the business world, and public relation tactics for the political world. Fernbach, Philip, Todd Rogers, Craig R. Fox, and Steven A. Sloman. “Political Extremism is Supported by an Illusion of Understanding.” (2012): 1-24. In some cases, it can be very clear who the intended audience for a specific product is. Clues from the content of the ad, as well as the language used can make this very obvious. I have noticed a few somewhat subtle gender based differences, and I would like to examine them more thoroughly. In order to illustrate this, I will discuss two ads in which the target audience is indisputable: Dodge Charger and U by Kotex. I bet by the product names alone, the specific target audiences are evident. In the ad for Dodge Charger, the deep masculine voiceover refers to the car as “man’s last stand.” If you weren’t sure of the intended audience before, I am quite certain that we are on the same page now. It is made quite clear that this commercial is intended for male audiences. This ad points out a number of things a man might do at the request of his female partner. It lists things like, “…I will shave. I will clean the sink after I shave… I will say yes when you want me to say yes. I will be quiet when you don’t want to hear me say no… I will be civil to your mother. I will put the seat down… I will watch your vampire TV shows with you…” This long list of behaviours ends when the voiceover states, “… and because I do this, I will drive the car I want to drive. Charger: man’s last stand.” If you would like to watch the ad in its entirety, follow the link below. In addition to the content, which I’m sure many men can relate to, this ad features only males (even the voiceover). I will (not so outlandishly) venture to say that it cannot be argued that this ad targets a female audience. Moving on to the language in this advertisement. There are many things like expletives or use of slang that may differ between male and female speakers, but I won’t be able to investigate those here. This is because this ad is broadcast on television, and covers a specific topic, which limits the possible varieties of language. The language in this commercial is very factual and to the point. In terms of sentence structure, it is short and simple. It lacks embellishments and it is definitely not overly wordy; the information provided is just the minimum amount. The simple route also seems to be taken in terms of word choices, because there don’t seem to be many unnecessary descriptors. Overall, it seems to me as though the male’s speech in this case is a basic template that outlines what needs to be said, but is not elaborated on. For example, when the man says, “I will watch your vampire TV shows with you” I imagine that if it were a female speaking, it would sound more like, “I will watch your stupid sports show with you, that you know I hate.” Similarly, in this commercial he says, “I will eat some fruit as part of my breakfast.” A woman could get away with saying, “I will eat a delicious assortment of fruit as part of my breakfast.” If a man (particularly in the setting of this commercial) uttered the words “delicious assortment,” it is likely that he would receive some odd glances. Even in terms of prosody, there seems to be falling intonation at the end of each phrase. This is not completely surprising because the content is in list format. However, a clear difference in intonation patterns can be noticed between the male speaker in this ad, and the female speaker in the next ad. Undoubtedly, a different audience is the target for the U by Kotex commercial. If you are unfamiliar, U by Kotex is a brand of feminine hygiene products. Based on your gender, you may or may not find this advertisement amusing. You may not even fully understand it. However, if you would like to take a look, click on the link below. Based on the product alone, the target audience for this ad is clearly females. The purpose of this ad is to poke fun at previous ads for similar types of products, slightly over exaggerating their content in order to make the point clear. The female speaker in the ad says, “How do I feel about my period… I love it… Sometimes I just want to run on the beach… I like to twirl, maybe in slow motion…” This is followed by the slogan, Why are tampon ads so ridiculous. Just as the Dodge Charger ad consists of only male actors and a male voiceover, this U by Kotex ad is comprised of a female actress/speaker and a female voiceover. In terms of language, there are many elements that point to a more feminine style. If you recall, I recently discussed the falling intonation in the Dodge Charger ad. In the U by Kotex ad, much of the ad is also phrased as a list, however, the female speaker uses much more rising intonation at the end of each item she lists. It seems as though she makes much more use of “uptalk” which is more common among females. She also says, “I want to hold really soft things… It makes me feel really pure… I really just want to dance… The ads on TV are really helpful” As you can see, the word “really” is used quite frequently in this 46-second ad. If a man were speaking, he would likely make less use of this adverb, or eliminate it entirely. The word choice is also more female specific; the speaker says things like, “twirl,” “pure” and “white spandex,” which probably occur less frequently in male speech. Overall her sentences are longer and more descriptive. At one point she even says, “and I’m like, oh, that’s what’s supposed to happen.” “Like” is very commonly used in female speech. These are just some of the ways in which male and female speech styles can differ. It would be odd to find an ad directed at males that uses words or intonation characteristic of female speech. Advertisers take this into account. A successful ad is tailored to a specific audience. In addition to the ad’s content, language can be a very significant part of this, although it may not consciously register with the audience. Next time you see an ad and find that you are unfamiliar with the product, pay attention to the language; are you the target? “The real threat [to the advertiser] is the consumers’ mental machine guns, their very own personal defense departments that can shoot down messages at any given point. And there are only a handful of techniques today that are sophisticated enough to act as stealth bombers, dropping new messages behind the wall-escaping detection by consumers’ ever present radar!” J. Bond & R. Kirshenbaum [Julie Sedivy]. As advertisers have realized, not all ads are effective in motivating consumers to buy their products, new insightful techniques have been developed to help get the advertising message across consumer’s mental blocks and barriers. The use of orienting response was introduced; it is the reflexive, involuntary and sudden shift of attention due to a sudden change in the environment. Such orienting responses can occur due to sudden loud noises or movement, flashing lights and incongruity. The use of incongruity is especially common in ads. A strikingly offensive absurdity is the application of women’s sexuality to promote products and services. This practice is widely used and is highly effective in attaining viewer’s interest. The use of women in ads is usually illogical and is meant to be that way to elicit viewer’s curiosity and maintain their attention enough for them to gain an idea of the product. The use of this shameless exploitation also services to help maintain a lasting memory of the encounter, as research shows that our memory retains information more so when it has been presented or paired with an absurd and unusual pairing [Julie Sedivy]. Have you ever received an estimate of how long it would take for an order to arrive, or how long it would take for your car undergo repair? Did you know that the units or granularity the speaker chooses to use in their estimate effects your interpretation of the expected time of completion? According to Y. Charles Zhang and Norbert Schwarz, the level of precision the information is communicated with influences your perception on your own estimated time frames. Zhang and Schwarz base their research on Paul Grice’s four maxims of communication. According to Grice, speakers adhere to the four following principles of communication: truthfulness, relevance, clarity and quantity of information. Whenever someone tells us something, we assume that they’re telling us the truth. We also assume that they’re providing details relevant to the message, avoiding ambiguity, and providing us with just enough information to relay the message. Based on these Gricean principles, Zhang and Schwarz discovered that estimates provided with higher precision resulted in smaller time estimate windows. Wider time estimate windows occurred when the information provided to the listener was broader. Zhang and Schwarz employ four different studies to discover the effects of granularity on consumer behaviour. The first study is separated into two parts, study 1a and 1b. In study 1a, 267 students were approached on campus and asked to evaluate the best and worst case scenarios for a repair situation. The students were told that their car was in for repairs, and they received one of three estimates for their repair: 30 days, 31 days or 1 month. Upon receiving this information, the students were then asked to provide the worst and best case scenarios as dates on a calendar. This displayed the student’s time frame estimate. Students given the 30 and 31 day estimates provided a narrower time frame estimate as compared to students that were given the 1 month estimate, demonstrating that students provided with more precise information had a more opportunistic expectation for their repair. Study 1b employed 90 students. The participants were told that a construction project would finish either in 1 year, 12 months or 52 weeks, giving three levels of granularity. Afterwards, the students were asked to provide the earliest and latest date of completion based on the information they received. Students that received the 52 week estimate provided the narrowest time interval. Students shown the 12 month interval had a wider time interval than those shown the 52 week estimate, and students shown the 1 year estimate had the widest time frame estimate. Studies two and three explore “the role of communicator cooperativeness” (Zhang, and Schwarz 9). Zhang and Schwarz manipulate the expertise (Study two) and trustworthiness (Study three) and examine the effects of time frame estimates provided by participants. In study two, participants were provided with articles that explained the launch of a new car in either 2 years, or 104 weeks. The source of the article was either identified as the chief research officer (CRO) of the company, or an auto fan site that reportedly started the rumor. After reading the article, participants were asked to evaluate the likelihood of the car launching on time. Secondly, participants were asked “[i]f the launch of the new car took longer than planned, how many months do you think it would likely be delayed?” (Zhang, and Schwarz 10). Consistent with the findings of study one, participants provided a narrower time frame estimate if they were presented with the article where the CRO stated 104 weeks. Participants given the article that credited the auto fan site as the source of information did not replicate this result, regardless of granularity of information provided. Study three examined the interaction between communicator trustworthiness and granularity of information provided. Participants were told that there was a power outage and that restoration of service would either occur in 4 days or 96 hours. Half the participants would also learn that “the company has been on Forbes’ list of ‘The 100 Most Trustworthy Companies’ for the last 11 years…whereas the other half learned that the company ‘has repeatedly been found to falsify financial reports over the last 11 years’” (Zhang, and Schwarz 12). After reading the articles, participants were asked to provide the likelihood that 1) power would be restored on Day 3 and 2) power would be restored on Day 4. Zhang and Schwarz found that participants given the article with the claim of company trustworthiness thought it was more likely for restoration to occur on day 3 if they were provided the 4 day estimate. Other participants given the 96 hour estimate were more likely to believe that restoration would occur on day 4 – “presumably, the company used the precise “96 hours” estimate for a reason” (Zhang, and Schwarz 13). Results of the study showed that 68% of participants believed that the trustworthy company was more likely to restore power by the 4 day deadline, whereas 54% of participants believed that the untrustworthy company would restore power by the given deadline. 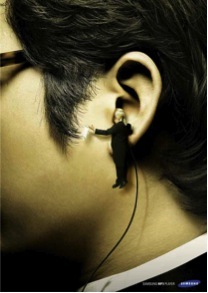 Thus the communicator’s trustworthiness plays a role in the optimism of the listener’s perception. In Zhang and Schwarz’s final study, they examine the relationship between granularity and consumer choice. Like study one, study four is separated into two components: 4a and 4b. Study 4a provided participants with the product description of two different GPS devices. The first device was described to last up to 2 hours, or up to 120 minutes. The second device was described to have 3 hours or 180 minutes of battery life. Subjects were asked to provide their estimates of how long the battery on the devices lasted. Participants perceived the products given finer grain information lasted closer to the product description estimate, estimating that the devices would last 106 minutes and 160 minutes, for the GPS devices listing 120 minutes and 180 minutes of service time respectively. In contrast, participants given product descriptions of 2 and 3 hours of battery life estimated that the devices would last 1.49 hours (89 minutes) and 2.4 hours (144 minutes) respectively. In study 4b, participants were told that they preparing for a 90 minute hiking a trip, and that a GPS device was “very important [to complete] the trip safely” (Zhang, and Schwarz 14). Participants were then presented with two GPS devices as rental options. The first device lasted up to 2 hours (or 120 minutes) and the second device lasted up to 3 hours (180 minutes). Participants were given their choices in minutes or hours. Results of the study showed that participants were more likely to choose a device that lasted up to 120 minutes for the hiking trip, and more likely to choose a device that lasted up to 3 hours when presented with hours as the denomination of units. Again, the overarching theme of granularity influencing participant perception comes up. Based on Zhang and Schwarz’s findings, it becomes apparent that quantity of information, in accordance to Grice’s conversational maxims plays a role in persuasion. Companies can strategically place different denominations of units to relay different information in the favour of the company. For instance, a company unsure of the completion time of a project can give an estimate with coarser units (using months instead of days for completion). On the other hand, a company looking to launch a product in a new market can use finer grain units in their product description to influence the purchasing decision of new consumers. The implications of this study can carry forward in a vast array of business functions from marketing to sales to public relations so it is important to understand the effects of granularity on perception. Zhang, Y. Charles, and Norbert Schwarz. “How and Why One Year Differs From 365 Days.” Journal of Consumer Research. (2011): 1-28. What exactly is it about objects being abandoned in the rain that makes us teary-eyed? Is depressing the audience a valid strategy for advertisers to use? Sidekicks seems to think so. In one such ad, a family’s salt shaker becomes unnecessary when the sodium in Knorr Sidekicks is reduced. This salt shaker is left to wander alone in the rain, tragically ending up watching the family enjoy their meal from outside the dining room window. If you haven’t seen this ad before, you may not think that this sounds particularly distressing. Take a look for yourself, you might find yourself holding back a tear or two. I find myself wondering why an ad would devote its valuable 30-45 seconds to the depiction of a heart-wrenching scene. I doubt, “aww the poor salt shaker” is really the only message that the advertisers wanted to convey. However, there are some reasons why an advertiser might want to take this route. The first thing I want to discuss is the difference between central and peripheral processing of ads and how this relates to persuasion. In central processing, you are rationally and logically evaluating the information you are presented with. If an ad wishes its audience to use this type of processing, they will present the product in a way that highlights its attributes; strong arguments for the benefits of the product will be all the persuasion the consumer needs. I do not think that this is the path that Sidekicks has chosen in this case. The only attribute that I see mentioned in this ad is the fact that this product has 25% less sodium. Does that constitute a strong argument? I don’t think so. This is why I think this ad is attempting to engage peripheral processing instead. Using peripheral processing requires much less rational thought. All in all, you spend less of your precious mental energy evaluating the pros and cons of the product and you rely on the more superficial elements. In this case, the arguments don’t need to be strong ones. The mind can be tricked into thinking weak arguments are persuasive through multiple techniques, such as distraction and time compression. Lee and Colarelli O’Connor (2003) suggest that emotional ads are more likely to enlist peripheral thinking. Instead of presenting lists of reasons why you should buy a product and letting central processing do the work, the audience is presented with an ad that gets them to feel. This engages peripheral thinking. In addition to the manipulation of emotion, I think that this ad has another trick up its sleeve: the use of a narrative. Narratives are a very good way to disguise persuasive intent. When people are aware that something is intended as persuasive, they tend to resist that message. 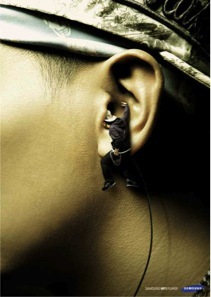 In the case of this ad, the focus is on the creative elements and not the persuasive aspects. Obviously a salt shaker isn’t going to hop off the table and walk out the door in real life. However, we get emotionally invested in fiction. Additionally, with fiction there is more flexibility in the meanings that the viewer will take away from it, which makes the message more memorable. What strikes me as the most odd about this advertisement is the fact that it is because of the reduced sodium that the salt shaker is doomed to be an outcast; unwanted and purposeless. If Sidekicks hadn’t reduced the sodium in the first place, we would not be feeling sorry for the salt shaker. The voiceover at the end of the ad even says, “Sidekicks now have 25% less sodium than before. Not everyone’s happy about it.” So why isn’t everyone boycotting this product in support of the salt shaker? I believe that this can be explained both through the notion of peripheral processing and by the ad’s use of fiction. I think that with peripheral thinking, we end up associating Sidekicks with the cute salt shaker, and forget the specific details. I’m sure that when most people purchase this product, they are not thinking that it will lead to lonely salt shakers everywhere, their salt tears falling to the sound of Michael Bolton’s How am I Supposed to Live Without You. This is because we are aware that the ad is fiction. In real life, we don’t hold Sidekicks responsible for the unfortunate turn of events in the salt shaker’s world, because we know it isn’t real. While feelings can get transferred from the fictional advertising world to the real world, the assertions (in this case, implied assertions) do not. We don’t expect everything we see and hear in ads to be true in the real world. The emotional connection just makes the ad and the product associated with it more memorable. There are a number of additional reasons why one might purchase this Sidekicks product. The health benefits associated with reduced sodium could be the selling point for some viewers. Who knows, there might even be some people who buy the product just so they can put some extra salt on it in honor of the salt shaker! Sidekicks even had a promotion where if you bought the product, you could send in proof of purchase to get your own salt and pepper set, just like in the commercial. The most important thing to keep in mind is that as much as this ad makes you want to burn down the Sidekicks factory in a show of solidarity with the poor, cute salt shaker, that is something you would never do (plus your explanation would never hold up in court). The ad is not real. If you disagree, and think that your real life salt shaker has developed the ability to walk and show emotions, you might want to see a doctor. Along similar lines, there is an Ikea commercial I would like to discuss briefly. We all know the story: girl buys lamp, lamp gets old, lamp gets retired to a rainy street corner, lamp gets replaced. Okay, so maybe that isn’t so common, but this commercial certainly had me feeling sorry for the lamp. I guess it isn’t all that difficult to get an audience to feel sad over what is happening to an inanimate object. The power of fiction is at work again! The sad music really helps set the tone. We even get a couple of shots filmed from the lamp’s perspective, such as when it is being removed from its former home. Similar to the Sidekicks commercial, this ad gets us to feel emotion. We get caught up in the simple narrative, creating a memorable experience. 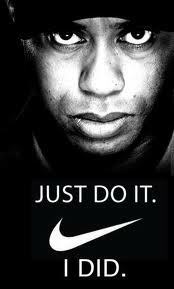 This ad also seems to make use of peripheral thinking. It creates emotion, and even uses the distraction of humor at the end when a somewhat eccentric man appears and says, “many of you feel bad for this lamp. That is because you crazy. It has no feelings. And the new one is much better.” I actually find this quite amusing because it has basically just pointed out that the purpose of this ad was to get you to feel bad for this lamp. So their manipulation of emotion is no secret. It also disguises the fact that their arguments in favor of the new lamp are quite weak (if they even exist at all). A strong argument might consist of the reasons why Ikea’s lamps are superior to other lamps, but we barely even get to see the new Ikea lamp! All we see is a blurry view through a rain-streaked window. Are we just supposed to take the word of the random man who appears at the end of the commercial and claims that the Ikea lamp is better? In my books, that isn’t a strong argument worthy of central processing. That is why I believe that there are elements of peripheral processing. It seems as though the use of sad ads is relatively common. The ads I discussed above are sad, but in a lighter way; in retrospect, it is quite humorous that ads about salt shakers and lamps can spark an emotional response. It is always a good idea to keep in mind what an ad is hoping to accomplish, and the methods it is using to achieve it.